Everyone is welcome as well as your four legged friends on a leash. 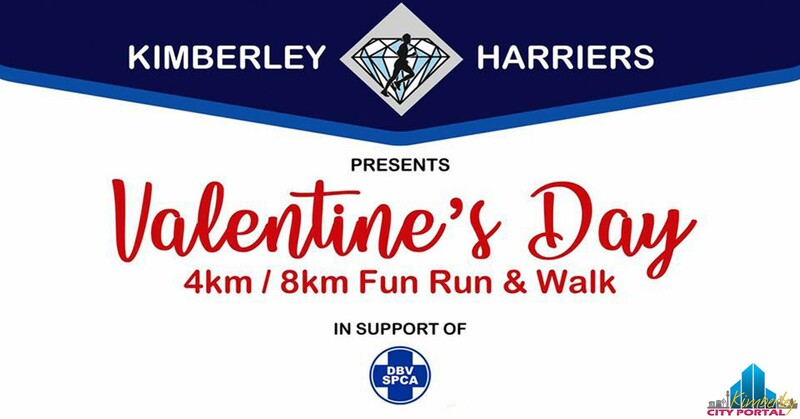 Kimberley Harriers Running Club is hosting a Valentine’s Day Fun Run / Walk in support of Kimberley SPCA / DBV. Everyone is welcome to attend, as well as your four legged friends on a leash!!! All contributions (entry fee) will go towards the Kimberley SPCA.